There are many cosmetic dentistry treatments that can address aesthetic flaws and enhance the appearance of the smile, but none are as versatile as porcelain veneers. Porcelain veneers are shell-like fabrications that makeover the smile by concealing dental blemishes. Imperfections that can be concealed with porcelain veneers include tooth discoloration, dental stains, cosmetic dental damage, and minor misalignment problems. Porcelain veneers are fabricated out of durable materials that will last for many years. However, patients should understand that veneers will not last forever. Here, Dr. Daniel M. Whiteman goes over the most common reasons for porcelain veneers replacement at our Boston, MA practice. The most common reason for porcelain veneers replacement is simple wear and tear. Porcelain veneers are strong, but they will wear down over time. 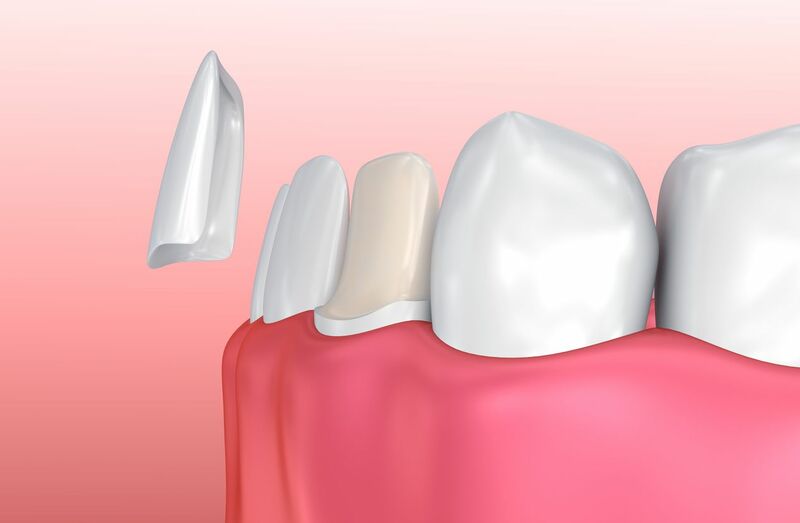 Just like the natural teeth, porcelain veneers will gradually weaken because they are constantly exposed to the force and pressure of biting and chewing. As long as patients properly care for their porcelain veneers and minimize exposure to hard, crunchy, and sticky foods, it should be years before the veneers require replacement. In many cases, porcelain veneers last for 20 years or more. For the most part, patients can care for their porcelain veneers just like the natural teeth. However, there are some precautions that patients should take to help prolong the lifespan of their veneers. It is best to avoid hard foods, refrain from using the teeth as tools, and protect the teeth while playing sports. These precautions benefit the natural teeth as well. The porcelain veneers can become damaged by a chip, crack, or fracture. Damage weakens the veneers and leaves the underlying teeth vulnerable to injury and other oral health problems, which means the veneers would need to be replaced. Porcelain veneers do not replace the natural teeth, they just provide a cosmetic façade that improves the appearance of the smile. Since the natural teeth remain in place, they can still become damaged or decayed, especially if the patient does not practice good oral hygiene habits. Any oral health problems need to be treated as soon as possible to protect the adjacent teeth from becoming damaged. Unfortunately, if porcelain veneers are in place, they will need to be removed before necessary restorative dentistry treatment can be completed. Porcelain veneers are customized by a number of factors, including color. Dr. Whiteman will design your veneers to complement any untreated adjacent teeth so that they blend in with the smile. While porcelain veneers are resistant to staining, the natural teeth can become stained or discolored over time. Teeth whitening can improve tooth color, but if the natural teeth differ in color significantly from the porcelain veneers, it may be time to replace the veneers so that the smile continues to look natural. If you have any questions about porcelain veneers, or would like to find out if this treatment could help you achieve your ideal smile, schedule an appointment with Dr. Daniel M. Whiteman at your earliest convenience. Call (617) 731-4746 to learn more about our comprehensive range of dental services.